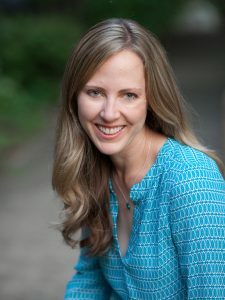 As I mentioned in my last post, I recently exhibited a portrait series of the female business leaders of Lake Anne as part of a celebration of International Women’s Day. Be sure to check out that post to see the 18 photos in this portrait series. I loved this project. 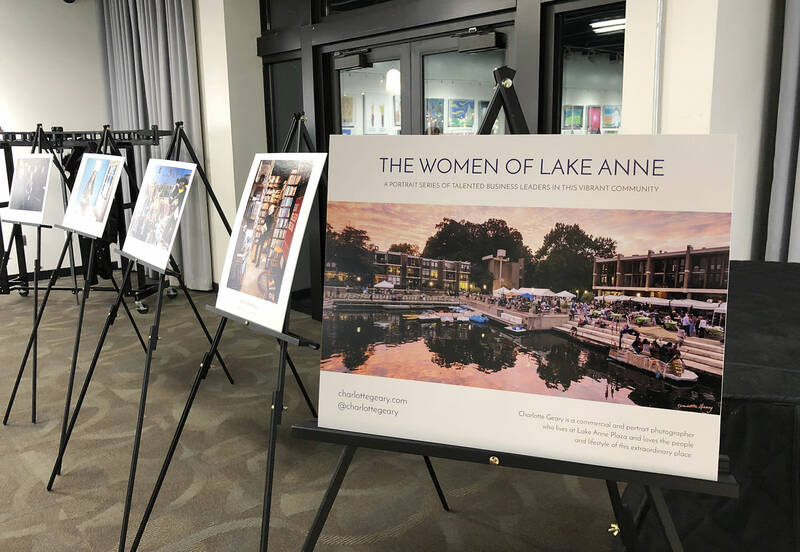 On March 8, 2019, a crowd gathered at Lake Anne to view the photos and listen to a panel of four of Lake Anne’s female business leaders of past and present. I was honored to be included in the panel so I could discuss my approach to the photos and to my business in general. 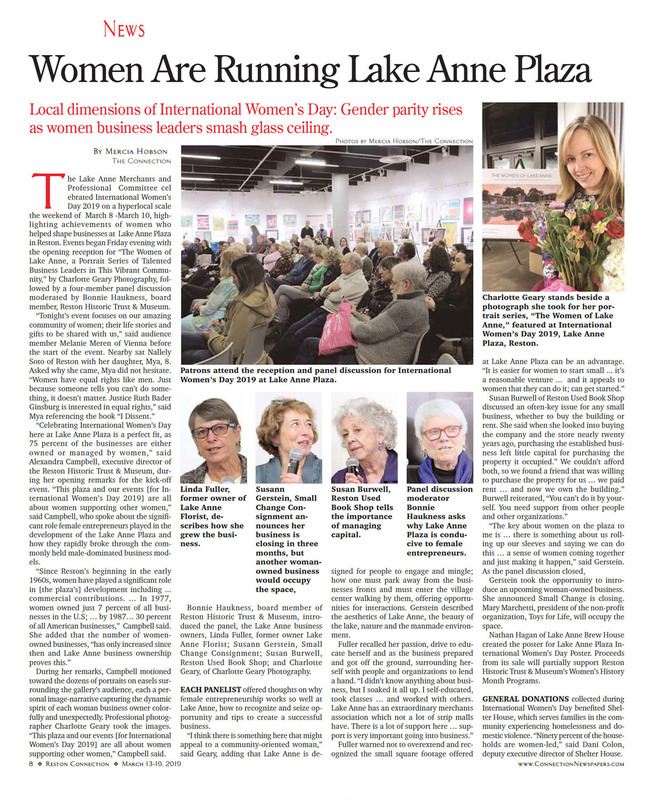 It was great to be included with some of Lake Anne’s respected business women. A few days later, I was shocked to discover that my photo exhibit made a full-page cover story in the local newspaper! Here are photos of the newspaper, as well as scenes from the event. Enjoy! 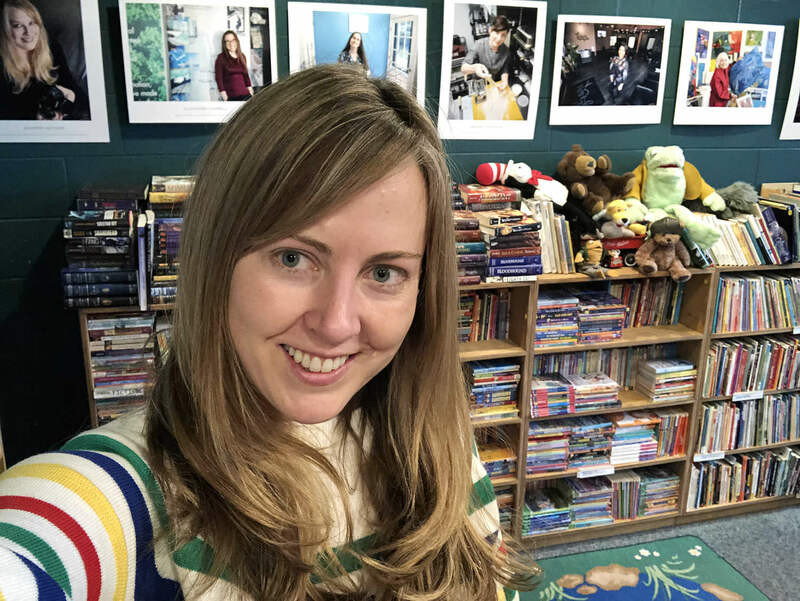 I didn’t take many photos at the event itself — I was too busy chatting with everyone who attended. It was great to see so many people there! 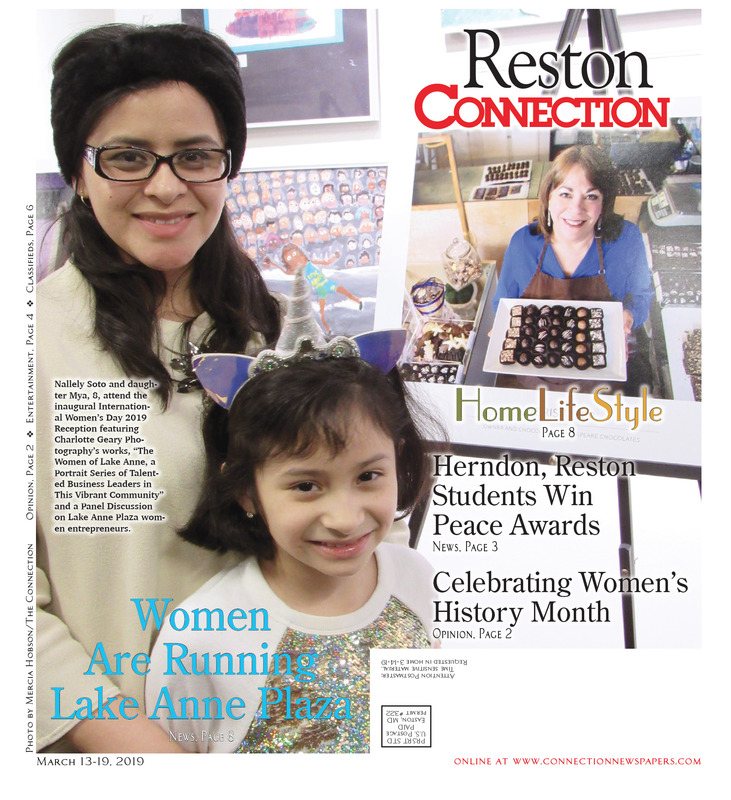 The celebration took place at the Jo Anne Rose Gallery at Reston Community Center. My photos were displayed on individual, identical easels around the perimeter of the room. 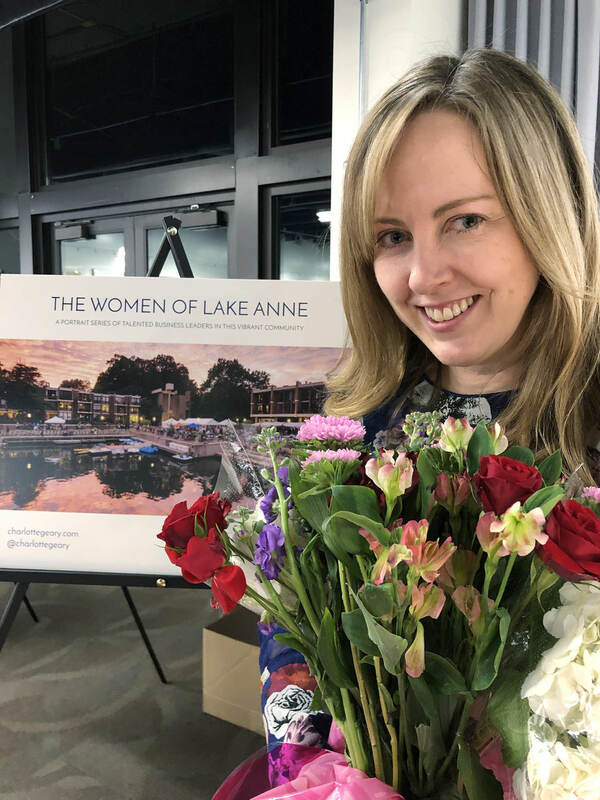 The first hour of the event was a reception when people walked around and looked at my exhibit as they enjoyed food contributed by several Lake Anne merchants. 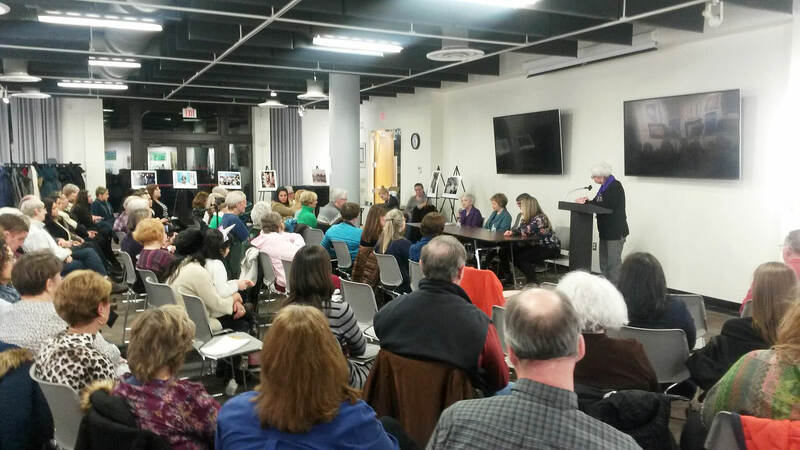 There was a great turnout for the event! I was so grateful to everyone who came out on that cold, sleeting evening to support the women of the community. Thanks for being there, guys. 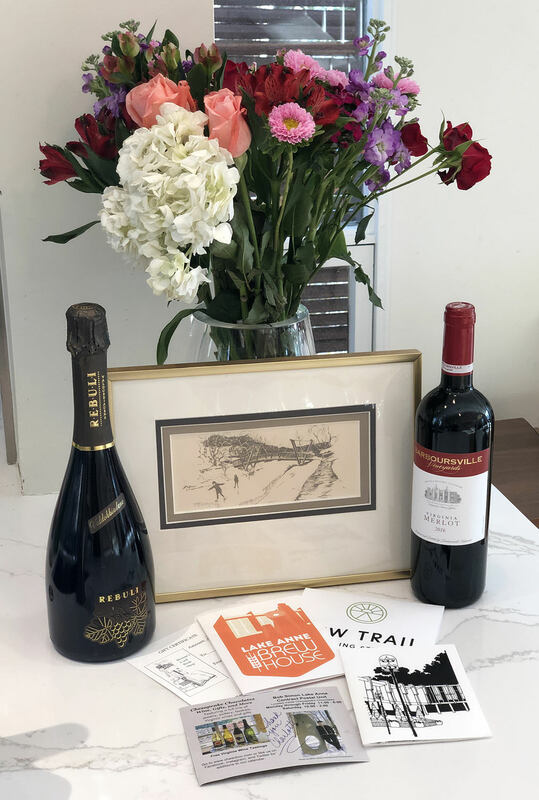 At the end of the panel discussion, the merchants surprised me with a bouquet of flowers, gift cards, and wine to express their gratitude for my photo project. I was not expecting that, and as you can see from my reaction, it felt pretty great. Thank you, lovely ladies of Lake Anne! 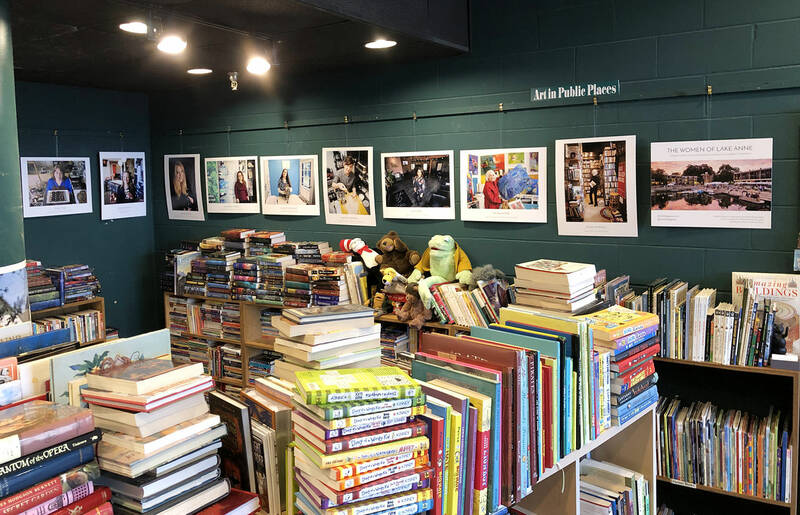 The next day, I installed the photos at Reston’s Used Book Shop, where they will be on display throughout March. I didn’t have enough wall space for all 18 photos, so I will come back mid-month to hang the rest of them. 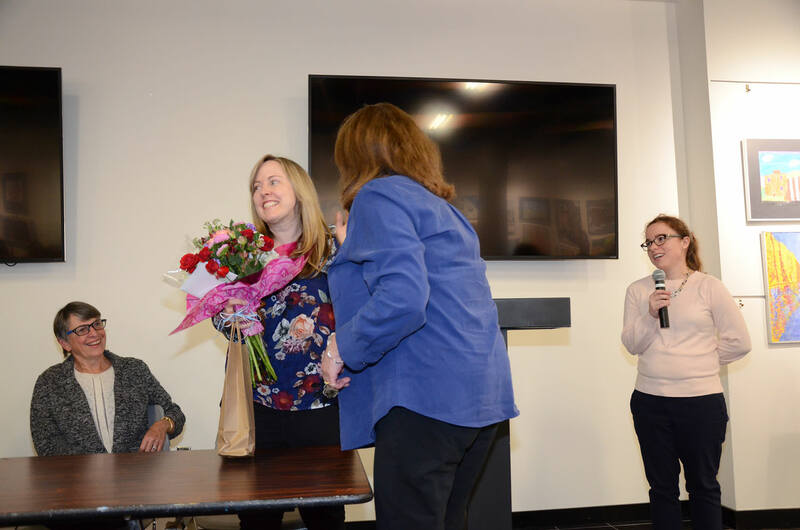 Thank you, everyone, for all your support! It has been a joy to be able to create this tribute to the people of my community, and to give back a little for all that they do.